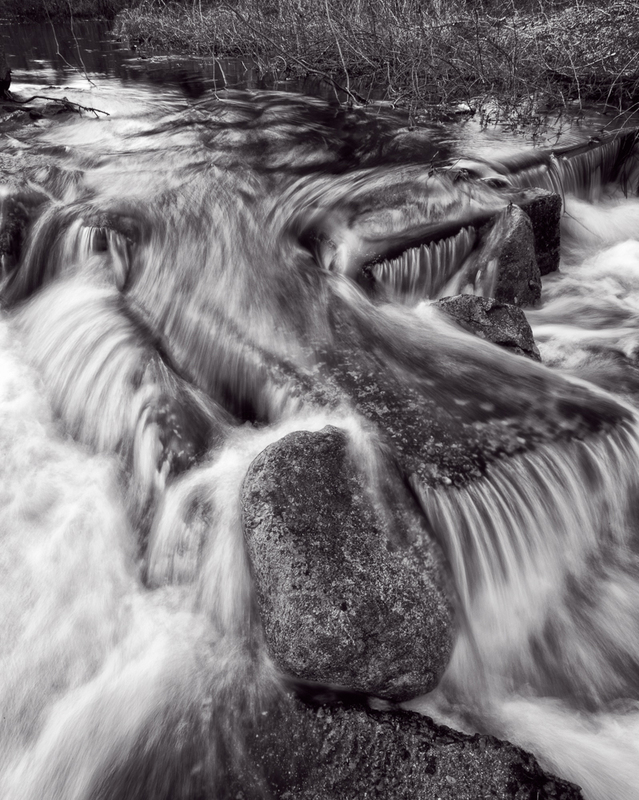 This entry was posted in Photo of the Week and tagged Analog, B&W, Black and White, Blur, Close to Home, Digital, Film, Long Exposure, Motion, Photography, River, Stream, The Indecisive Moment, Water by nixonphoto. Bookmark the permalink. Hi Andrew. Both are good but I feel the colour version gives better credit to the image you have taken. I really like the colour version. The B&W gives a winter feel. The colour a spring/autumn look. Seeing the images and reading your words is like Deja Vu! I’ve not been able to do photography for a bit (bad eyesight and a new camera I struggle with) and have been waiting to photograph a stream right by me…for 2yrs! I’m going to do it this week…thanks to your post. Many thanks – I had a similar reaction to the color vs black and white versions. I was surprised how much the color one felt like autumn. Thanks for the encouragement. It’s greatly appreciated. Andy it could be that completely eliminating the vegetation in the background you might find you have a pretty cool (almost abstract) of just the water and rocks. Many thanks – I agree and will most certainly push in this direction. I really like the B&W, it could be just me, but I would almost be inclined to crop the weeds out and I agree with John Ames, make the large rock in the fore ground the central attraction. Thanks – I’m playing with that version now. Much stronger. I understand the point about having more of the grasses at the top. I feel as though I was too tentative and didn’t really make a decision here. Perhaps next time! Thanks for the support. It’s truly appreciated.